Legislation imposes prompt and strict action against the license or learner permits of young or new drivers. The law provides for a 60-day suspension for a first offense conviction, and in the case of a second offense within six months would result in the revocation of a probationary license for six months and a learner permit for at least 60 days. This is in addition to the fine and the five-point assessment. The new law carries new minimum fines and increased maximum fines. For example, the minimum fine for a first offense is $50 and the maximum fine increases to $150. For a second offense within 18 months, the minimum is $50 and the maximum fine increases to $200. 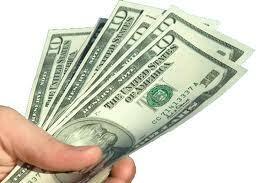 The third offense within 18 months imposes a minimum fine of $50, and a maximum fine of $400. You should know that when a person accumulates six points in eighteen months, the New York DMV assesses a driver improvement assessment of $100 per year for three years, plus an additional $25 per point for every point over six. My twenty year background as a New York State Trooper has given me a unique insight and understanding of the vehicle and traffic law. As a traffic ticket defense attorney who has been successfully defending motorists in upstate New York since 1987, I am very familiar with all the local courts and their prosecutors. Protocol can vary greatly from county to county and court to court. I know who to talk to, and what to say. 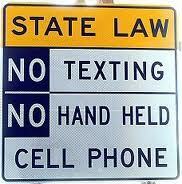 I can assist you in minimizing the consequences for cell phone violations, including texting while driving. Call me for a free assessment of your case. My experience is your best defense.